Oculus and VRHealth bring virtual reality to patient care - Augmented Reality, Virtual Reality & Mixed Reality services in Chennai, India. Two virtual reality-focused companies have teamed up in an effort to assist patients. VRHealth is working with Oculus to deliver its new health and wellness solutions using Oculus products. 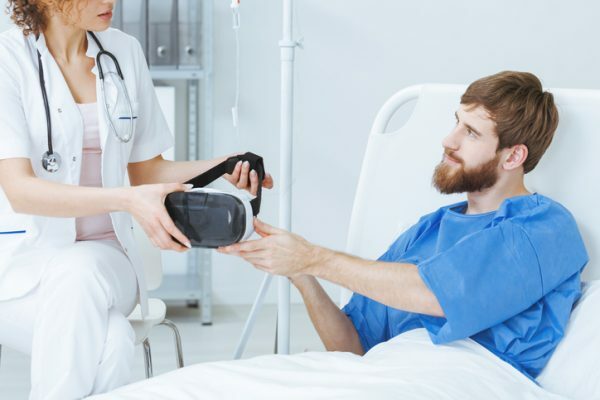 More specifically, VRHealth is making use of Oculus Go and Rift to help patients manage their pain and alleviate anxiety before and after surgery. With offices in Boston and Israel, VRHealth offers pain management and psychological assessment tools, which are provided via virtual reality content. The company also leverages artificial intelligence to deliver data analytics. Patient data from the VR experience is updated to a data portal so healthcare professionals can better understand and sculpt the patient’s treatment plan. Organizations like Stanford Sports Medicine and Massachusetts General Hospital’s Sports Medicine Center are utilizing VRHealth’s approach. Menlo Park, California-based Oculus, which was acquired by Facebook in 2014, offers a variety of VR products, including headsets like Go and Rift. Other players in the healthcare space are harnessing virtual reality to aid patients as well. AppliedVR in Los Angeles provides a virtual reality platform to patients in the clinical setting. It uses the technology to help reduce patients’ stress and anxiety. Earlier this year, Boston Children’s Hospital and Klick Health revealed HealthVoyager, a tool that utilizes virtual reality to help patients understand their medical condition. The first version of the capability is called HealthVoyager GI and is geared towards pediatric gastrointestinal patients. The goal is to educate patients and help them learn about their physician’s findings.